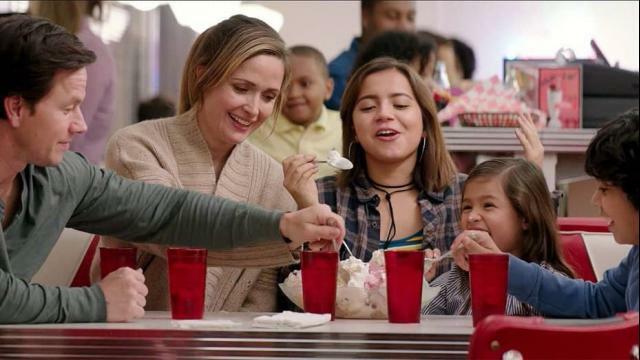 There’s a movie opening today about foster parents by the same name, but at Abrazo, every month here is an episode of Instant Family in real time. Any one of our parents-in-waiting knows that any day, they may get The Call. They have to be ready instantly to drop everything to be here for a birthparent and her child/ren. Years ago, it was a young childless couple from New Jersey who were summoned by Abrazo to become an instant family to a beautiful sibling group of three young children, ages 1, 2 and 3. They were chosen to become parents by the original parents of that sibling group, a young married couple living too close to the edge and wanting better for their children. The Jersey couple had infertility, so adoption was their only hope of building a family. Tet neither spouse had ever parented before, so going from being a childless couple to the parents of a baby and two toddlers was a sharp learning curve. Not only did God answer their prayers for freedom, He answered the prayers of the desperate birthcouple for relief. Now both couples found themselves blessed abundantly, as all three adoptees have grown up to be smart and vibrant adults. Nothing about becoming instant family was easy, of course. But it was definitely worth all the sacrifices it required– on everyone’s part. How do people become instant family? To become instant family typically requires an approved homestudy with cleared background checks, for starters, a safe home, and children who need you. You’ll also need patience, supervision, legal representation, a steady income and a strong support system. Becoming instant family requires resilience, flexibility and stability and not everyone can handle this. It’s okay if you can’t; it doesn’t mean you’re unworthy of adoption, nor that you are never meant to become a family. The reality is that not everyone can (or should) sign up for a process by which they need to be able to turn their lives upside down at a moment’s notice on behalf of a child or children they’ve never even met (yet.) People who are planners and whose comfort level is largely control-based typically do not respond well to the demands of becoming instant family. Children in crisis and kids who have been traumatized likewise do not find the concept of “instant family” familiar or comforting. They too may need a slower process in which to bond and attach. Abrazo’s application form specifically asks people wanting to adopt how soon, realistically, they might be ready for placement, and how many/what sort of children they could accept? Some applicants probably agonize over this, thinking it’s a trick question, but it’s not. It’s simply intended to encourage prospective adoptive parents to give some real thought to what they are (and are not) prepared for, and when. For a pair of Texas doctors, getting The Call that Abrazo had a baby for them before they’d even gotten their nursery ready was truly a wake-up call on the way to becoming instant family. They had to call each other at work to be sure they were both feeling ready, and then they called a dear family friend, who ran to the store to buy them all the basics that were needed to accommodate the needs of a new baby joining their home in literally a matter of hours. Beyond that, though, they had to work through years of unresolved emotions about infertility and childlessness to be able to embrace their new roles as the immediate parents of a newborn who knew none of their history yet needed them to be instantly ready for all of his future. Another childless couple from California met a single mom-to-be from Colorado who was stationed in Texas. She had a career path laid out for herself that did not enable her to parent at that time in her life, and the adoptive couple she chose wanted nothing more than to become parents. They got to know each other during pregnancy, chose to do their adoption through Abrazo, and when that soldier gave birth and completed her adoption paperwork, not one, not two, but three beautiful babies went home with that stunned set of new parents. Instant family, indeed… but again, a very grateful one. Adopting triplets is not easy (and neither is placing multiples for adoption) but the parents have maintained their friendship over the years, and the three teens they all love so are an immense source of pride for each. Adoption doesn’t just happen when the time is right for the adults involved, and children’s needs don’t always accommodate new parents’ schedules. Becoming instant family is trying even under the best of circumstances, and especially when the circumstances are notoptimal. Newly-minted parents need support and understanding, and they need to know it’s okay to not be perfect. It’s all right to secretly (or not so secretly) feel that they’re merely babysitting, and it’s normal if they don’t feel particularly connected to their new child/ren right from the start. It’s incredibly difficult for new adoptive parents to feel they can be candid about their anxieties or fears or regrets, in a culture that celebrates immediacy and glorifies the idea of happy endings. Yet parenting is an enormous undertaking, however it comes to you, and those who have had little time to prepare may need much more room to adjust. And that, essentially, is the entire challenge facing every instant family– in public or in private.